Ugh. . . Just Ugh. I have landed myself in a mess. Literally. I wish I could tell you that the above was the result of climbing a mountain or falling off a horse or anything more adventurous than what really happened. Four little porch steps and this happens. You read that right. I tripped down the steps, completely missed the last two, felt my ankle almost fold in two, flew through the air, and landed face first in the dirt. I’m just as graceful as a ballerina, right? Look away now if you’re at all squeamish. Yeah, not a pretty sight. Not too pleasant feeling, either. They’re not sure if it’s broken or really badly sprained. Based on past experience with sprains and the fact that I can’t put any weight on it at all without screaming like a banshee, I’m voting for broken. I don’t do anything by halves. Not at all. When I injure myself, I really get the job done, am I right or am I right? Ugh. Previous post: Miss May Part Four. Next post: More on Ugh. Feel better soon. I did something similar once. 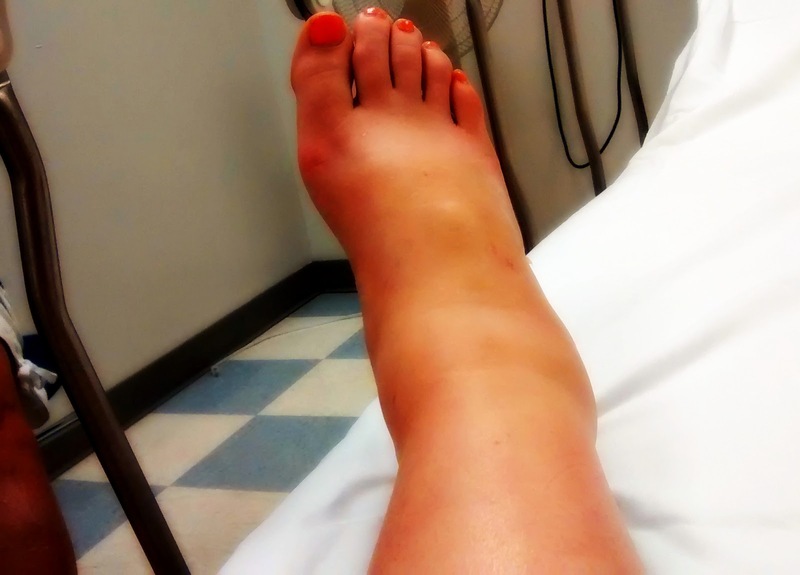 It was a bad sprain but the prompcare dr. & otho both assured me that I would have been better off breaking it. Didn’t make me feel any better at the time! Hopefully you’ll have a full and fast recovery! Oh no! That’s going to slow you down for a while. You are going to slow down and let it heal, right? mmm…yes…I know how this goes. Easier said than done. I’ll be watching to see if it’s broken or sprained. Either way, take care. Yikes that had to hurt like hell. 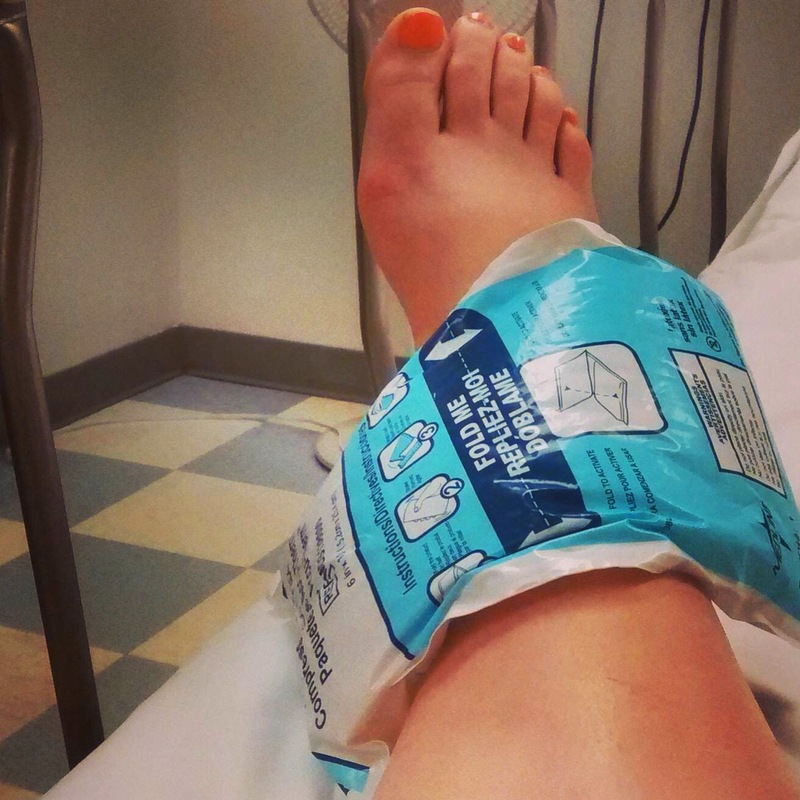 I sprained mine for the first time recently. Did you cry? I did. . . Like a baby 😉 hope yours is feeling much better now!